Indiana lawmakers met on Wednesday to discuss one of the three sport betting bills currently up for debate this year. The result of the hearing was a mixed bag for the state’s casino industry. The legislation, Senate Bill 552, would allow the state’s gambling facilities to offer in-person and online/mobile wagering, but it also calls for using official data from the sports leagues for in-game wagers. Giving the leagues that data monopoly could mean problems for the latent Indiana sports betting market. 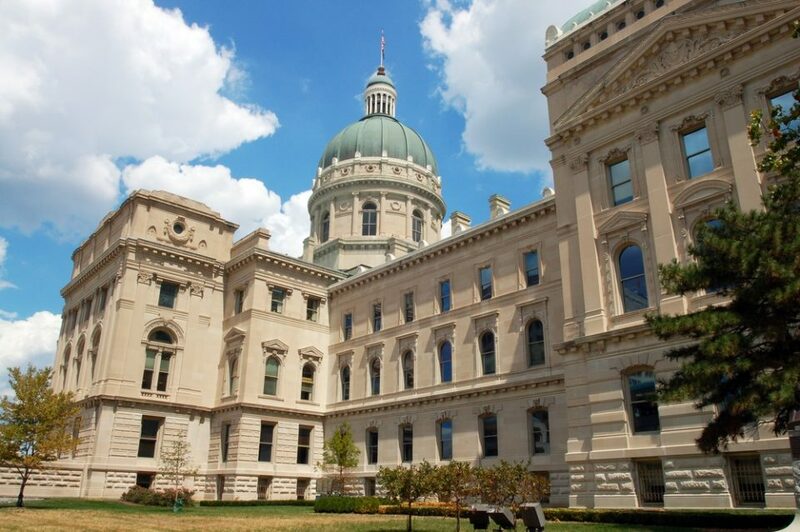 The Indiana Senate Public Policy Committee approved the measure by a 10-0 vote, sending it to the Senate Appropriations Committee. There’s a two-week window for Appropriations to weigh in and possibly send the legislation to the Senate floor for a full vote. According to a report from wthitv.com, Appropriations will meet on Thursday, Feb. 14, setting the stage for a possible Senate vote the following week. If successful, the measure would then go to the House, where reports indicate it has longer odds. The legislation was authored by State Sen. Mark Messmer, a Republican with a district in Southwest Indiana outside Evansville, and State Sen. Jon Ford, a Republican with a district that encompasses Terre Haute on the Illinois border. It was “co-authored” by Sen. Eddie Melton, a Democrat representing a district near Chicago that includes Gary, Indiana. The bill has bipartisan Senate support. The cities matter a lot for this legislation, but more on that later. The bill in its current form is opposed by the Indiana casino industry and publicly supported by the NFL’s Indianapolis Colts, among others. Both stakeholder camps want legal sports betting in the Hoosier State, but there’s a major disagreement on implementation. The hearing Wednesday featured pushback from the Casino Association of Indiana, which has 11 member properties. The Colts, along with MLB, the NBA and PGA Tour through a representative, advocated for the state to mandate the use of their data. Such a rule could make the Indiana sports betting white market less competitive with the black market, which includes offshore platforms that aren’t hampered by a data mandate that could result in exorbitant fees. The stakes are high, as a competitive regulated sports betting industry in the state could see more in annual wagers than Nevada takes, according to a 2017 U.S. casino industry study. Representatives from the Colts, the PGA Tour, and the Indianapolis Speedway have offered their testimonies and concerns regarding sports betting in Indiana. A complex conversation about a lack of one objective statistical source have surfaced in this hearing. For better or for worse, SB 552 is about much more than sports betting. The legislation calls for moving one “riverboat casino” in Gary about 160 miles south to Terre Haute (depending upon the outcome of a competitive bidding process) and moving the other Majestic Star riverboat casino in Gary to a more accessible location in downtown Gary. There’s a pitch for a $300 million investment in the Gary land-based casino, which could come to fruition if the bill is signed by the governor. Job creation has been touted with the casino shakeup, a powerful motivation for supporters of the bill. However, there’s resistance from folks in surrounding areas, including in Hammond, home to Caesars’ Horseshoe Casino Hammond. Hammond and Gary sit adjacent to each other. The legislation was amended to try to preserve revenues that Hammond receives from gambling, but concerns remain. Additionally, the legislation calls for allowing the two racinos near Indianapolis to have live dealer table games sooner than 2021, which an earlier law mandated. The live dealer table games at the tracks isn’t a controversial issue like the provisions pertaining to the Gary casino licenses. Other provisions in the complex bill include changes to rules over casino ownership, taxes, and so on. State Sen. Messer said at the hearing that his bill is a “once-in-a-generation” opportunity for Indiana. However, even backers of the bill admit that all the details of the massive proposal aren’t yet hashed out. The silver lining in all of this is that Indiana is serious about sports betting and likely won’t limit the betting to retail sportsbooks. It’s also a good sign that the Hoosier State is no longer home to a debate around the so-called “integrity fees,” though mandating that sportsbooks buy data from the leagues is along the lines of forcing a royalty upon one business to be paid to another. Messer and Ford are the sponsors of another piece of legislation for sports betting, SB 439. Unlike the omnibus gambling expansion package, SB 439 is for sports betting only, but its provisions are included in SB 552. If the omnibus gambling bill fails, SB 439 will be a potential vehicle for sports betting. SB 439 still sits with the Senate Public Policy Committee. The third Indiana sports betting bill sits in the House, and it’s sponsored by State Representatives Alan Morrison, Chris Judy, and Heath VanNatter, all Republicans. House Bill 1363 currently resides in the House Public Policy Committee and has yet to have a hearing. The legislation is for sports betting only. HB 1363 doesn’t call for mandating that casinos use official league data for in-game bets. Backers of the plan to include sports betting in an omnibus gambling package are effectively going the Pennsylvania route. In 2017, the Keystone State legalized sports betting in a gambling package that included online casino, satellite casinos, airport gaming, truck stop VGTs, among other provisions. Can Indiana pull off something similar? We’ll know in the coming weeks and months.